The blended (combines actual results for companies that have reported and estimated results for companies yet to report) earnings growth rate for the S&P 500 for Q3 2018 is 19.1%, and the blended revenue growth rate for the index is 7.3%. During this earnings season, several companies in the S&P 500 have discussed rising costs during their earnings calls. Given this concern, what is the S&P 500 reporting for a net profit margin for the third quarter? The blended net profit margin for the S&P 500 for Q3 2018 is 11.6%. 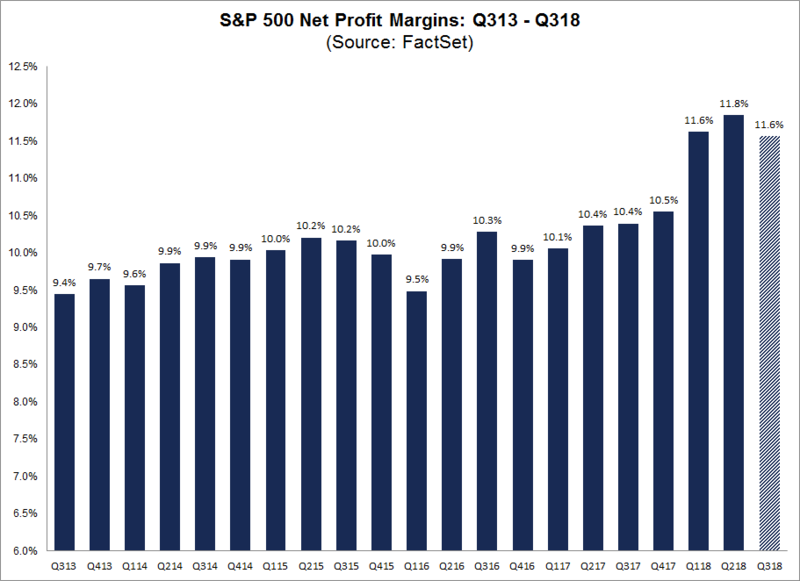 If 11.6% is the actual net profit margin for the quarter, it will mark a tie with the first quarter (Q1 2018) for the second highest net profit margin for the S&P 500 since FactSet began tracking this data in Q3 2008. At the sector level, nine sectors are reporting net profit margins for the third quarter that are above their five-year averages. 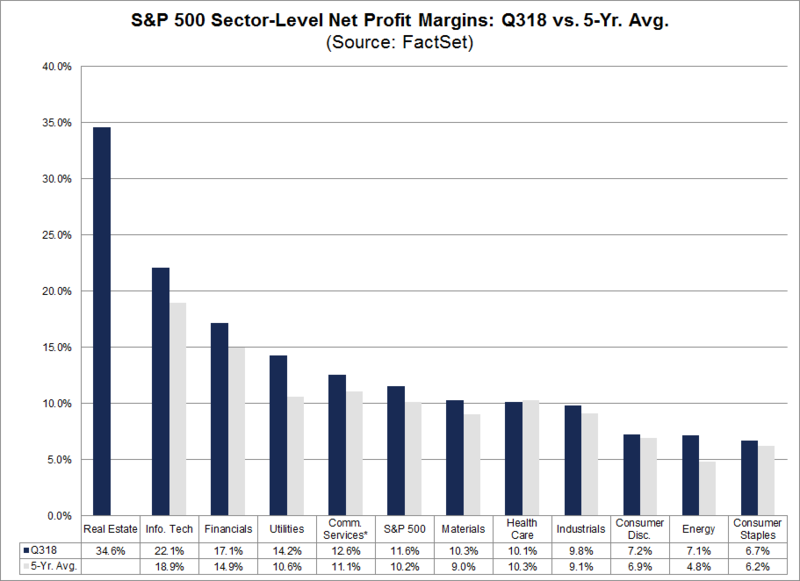 Two sectors are reporting their highest net profit margins since FactSet began tracking this data in Q3 2008: Information Technology (22.1%) and Utilities (14.2%). 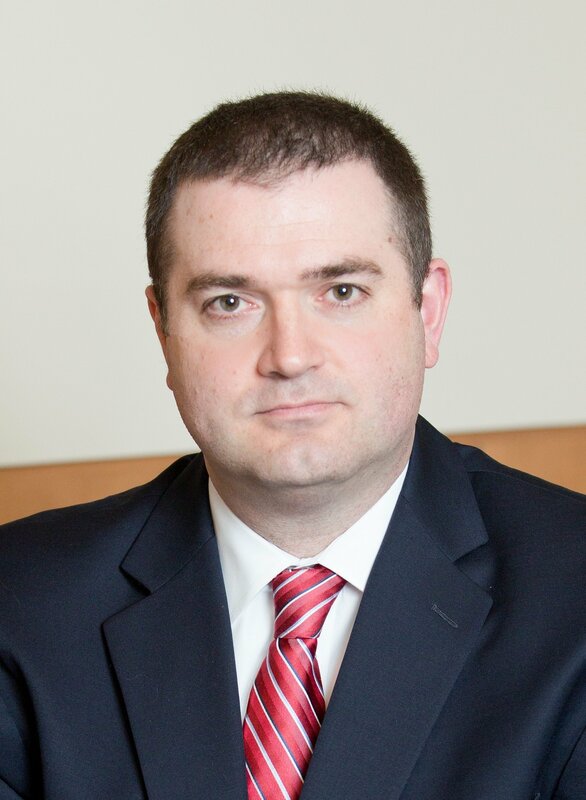 What is driving the higher net profit margins for the index? The reduction in the corporate tax rate due to the new tax law is likely a significant factor, as the lower tax rate has boosted earnings for companies in the index for the quarter. It appears the lower tax rate is more than offsetting the impact of rising costs, resulting in a near record-level net profit margin for the index for the third quarter. It is interesting to note that analysts expect net profit margins to remain at this level or increase over the next few quarters. Based on current earnings and revenues estimates, the estimated net profit margins for the next four quarters (Q4 2018 through Q3 2019) are 11.6%, 11.7%, 12.2%, and 12.3%, respectively.